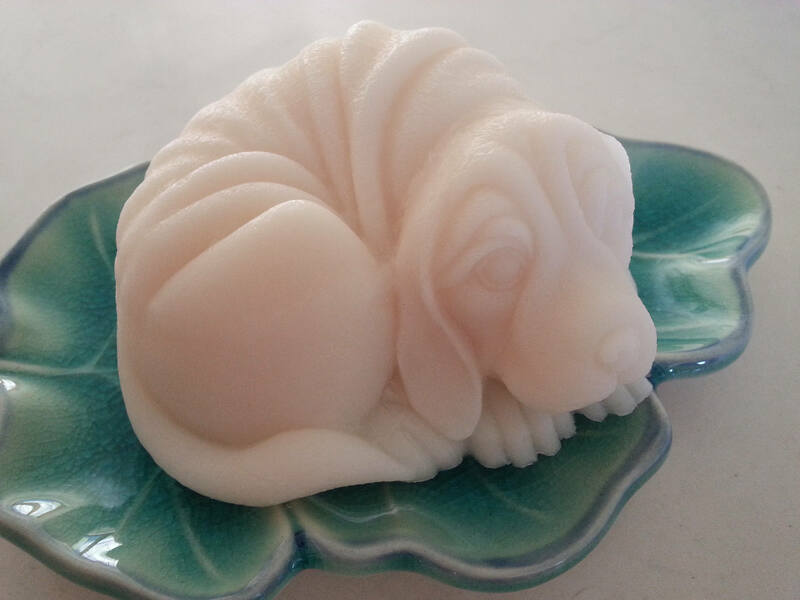 Individually crafted ivory colored hound puppy glycerin soap. 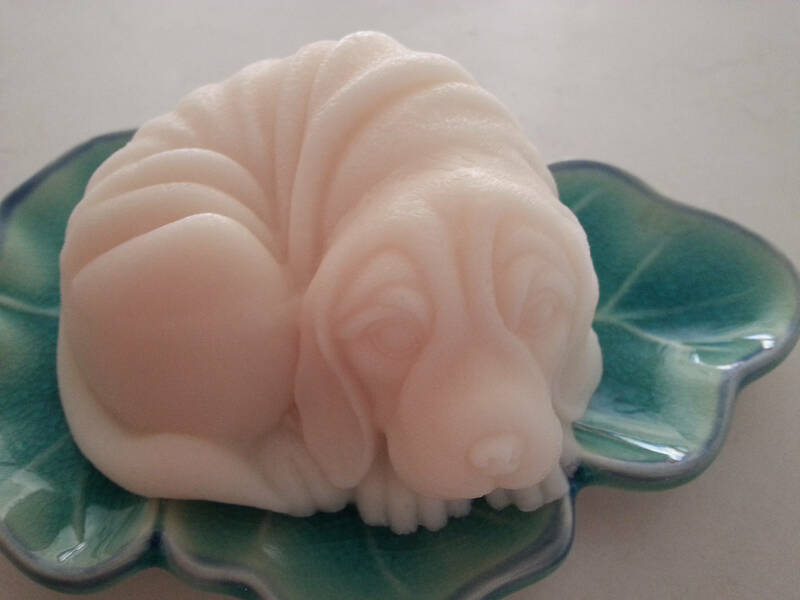 Perfect for those who do not like much scent, this soap is very lightly scented. 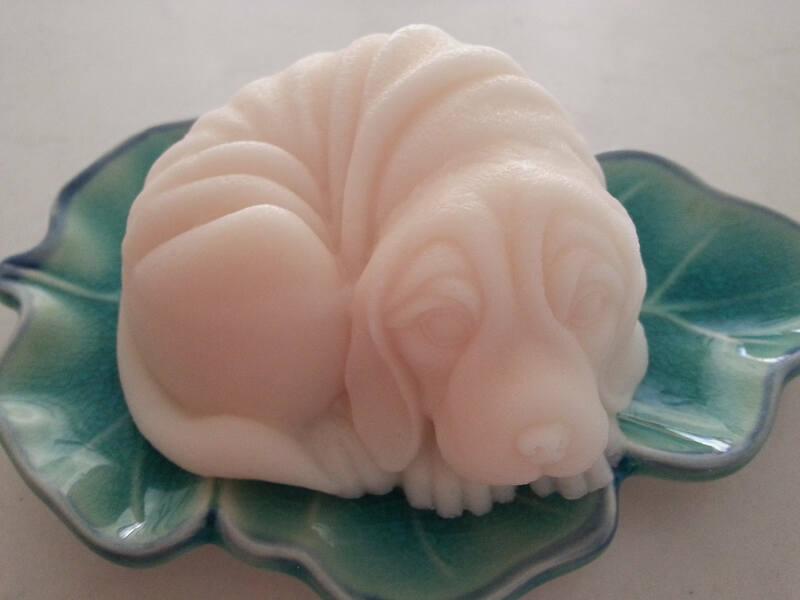 Made using skin nourishing honey, and scented just a touch with vanilla and almond. Ingredients: Coconut Oil, Palm Oil, Safflower Oil, Glycerine (kosher, of vegetable origin), Purified Water, Sodium Hydroxide (saponifying agent), Sorbitol, Propylene Glycol (made from vegetable glycerine), Sorbitan oleate (emulsifier), Oat protein, Titanium Dioxide (mineral whitener used in opaque soaps), honey, vanilla, and almond extract.